Carol Comeau is former superintendent of Anchorage schools. The current non-discrimination law has allowed our educators to work with individual students on a case-by-case basis. Proposition 1 would take that flexibility away from our students and educators. The Anchorage School District has heard many concerns about Everyday Math. We know that many parents, community members and some teachers are frustrated with the program. This is why the district asked for an independent math curriculum review last fall. It was about 13 years ago when a new class of kindergarten students walked through the school doors wide-eyed and ready for new beginnings. Those students now make up the 3,400 graduates who recently walked across the stage to receive their high school diplomas. 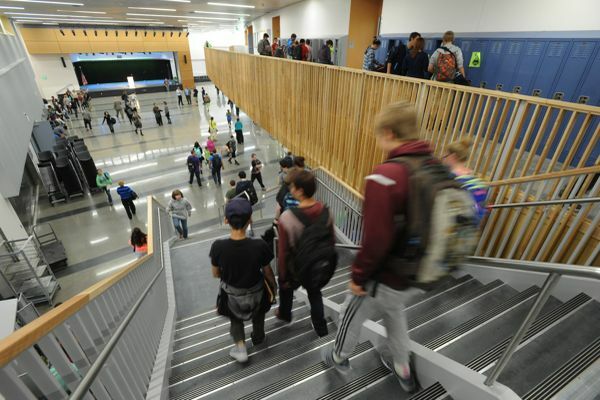 Anchorage School District high school students are getting into fewer fights at school, smoking less, turning away from suicide, and using drugs and alcohol less. They also say there's a disconnect with adults; they feel they don't matter as much and the majority think adults consider it okay for them to drink alcohol. Last week, the Anchorage School Board approved using $11 million to pay for urgently needed capital projects without selling additional bonds. The good news is that some projects proposed for bond funding in the April election can be done without bonds. This is graduation time for Anchorage high school seniors. Teens enjoy parties and socializing, especially during an event as big as graduation. Celebrating this time is appropriate and natural. Some parties serve alcoholic beverages purchased illegally by parents for teens. These parents believe teens are safe in a controlled environment. However, parents and adults providing alcohol to teens are breaking the law and sending the wrong message to teens, which can pose serious legal consequences for everyone involved.